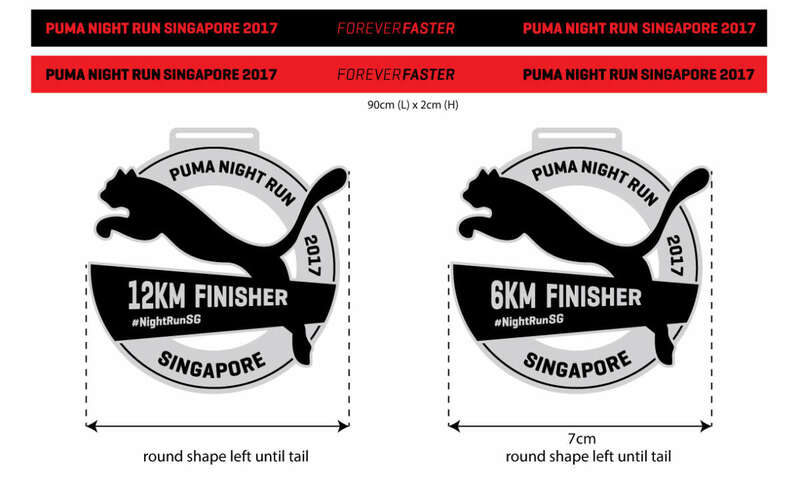 PUMA Night Run 2017 will be held at Seletar Aerospace Park, on 26 August 2017. The categories comprise of 6km and 12km. Participants who are unable to collect their race packs on their own may appoint a representitive on their behalf. To do so, the representative must present a signed letter of authorisation and the necessary documents. You are required to wear the puma night run tee that is found in the race pack that you have collected earlier. Come in your most comfortable running shoes to minimize any unnecessary discomfort during the race. 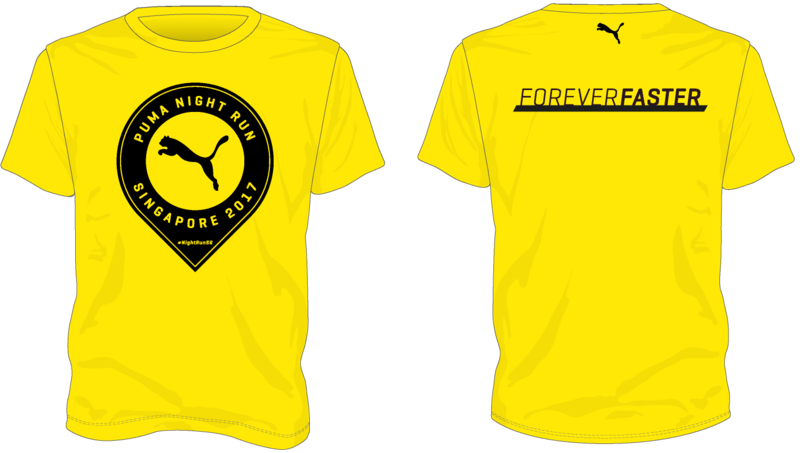 Since it is a night run, be creative and include other glow-in-the-dark accessories too! Please also remember to bring along your race bibs to clock your personal times! All baggage will be deposited and collected at the race village. There will be a designated baggage area. However, we do encourage all runners to travel light! Depositing of baggage will start from 1500hrs. 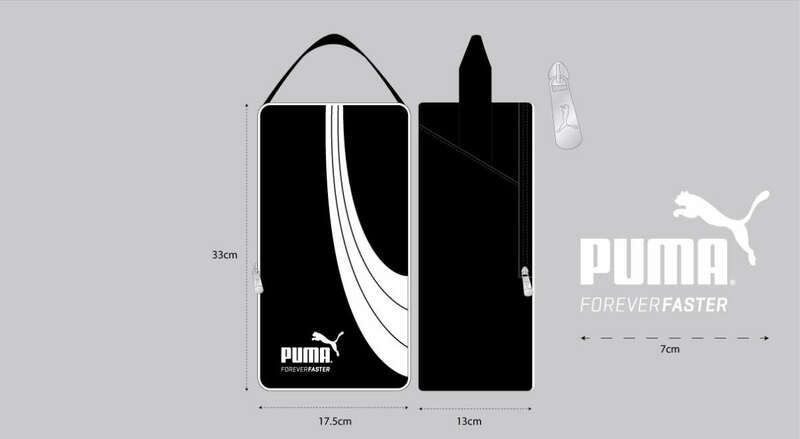 All participants who wish to use the baggage deposit service are encouraged to use the puma bag given during race pack collection. Runners are to proceed to race village for further instructions. • If there are any delays, announcements will be made at the event ground by 1700hrs. • If the bad weather persists past 1900hrs, the race will be cancelled. Don't just head home right after completing the run! 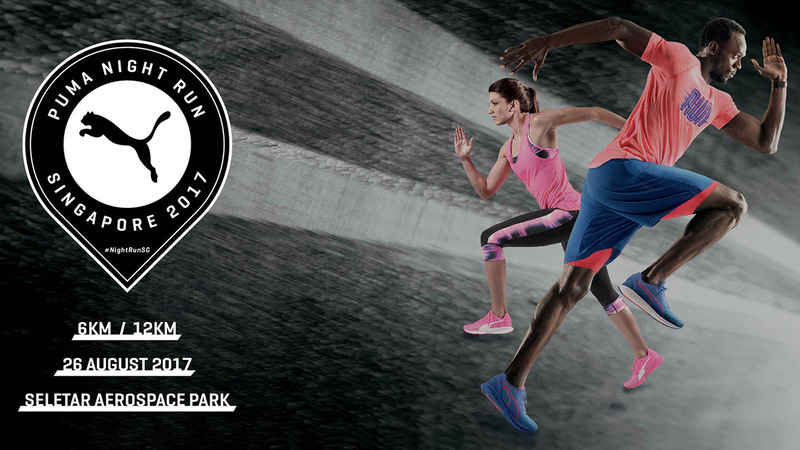 Join in the fun and celebration at the puma race village for the official after party with live performances! Don't forget to stay behind after to see if you've won in the grand lucky draw. 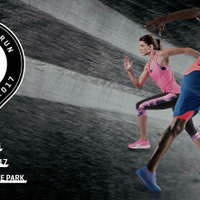 Winners for the event will be determined based on gun time of each participant on the route from flag-off time until the participant crosses the finishing line. Winners will be based on the fastest average gun time of the pair or group of 4. Top prize = 1 x economy air ticket to an European destination of your choice*! 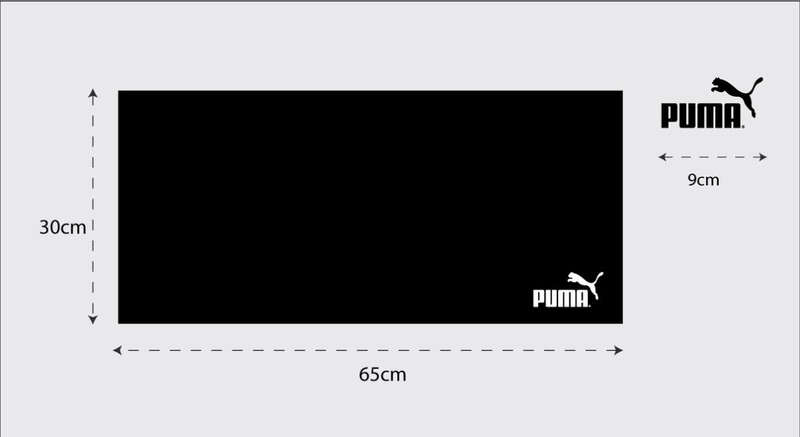 All participants for both 6km & 12km automatically qualify for the PUMA lucky draw. There are 10 prizes up for grabs! You’ve survived the race but stay on! celebrate with the rest of the runners at the puma village where you get to keep the adrenaline pumping with performances and music from various local artistes. capture some of the best moments at one of the plenty instagram-worthy photo booths and share it with all your friends. 103 & 117 to alight at bus stop before Seletar Aerospace Lane situated along West Camp Road. *You are strongly encourage not to drive as there will be no parking available for vehicle. 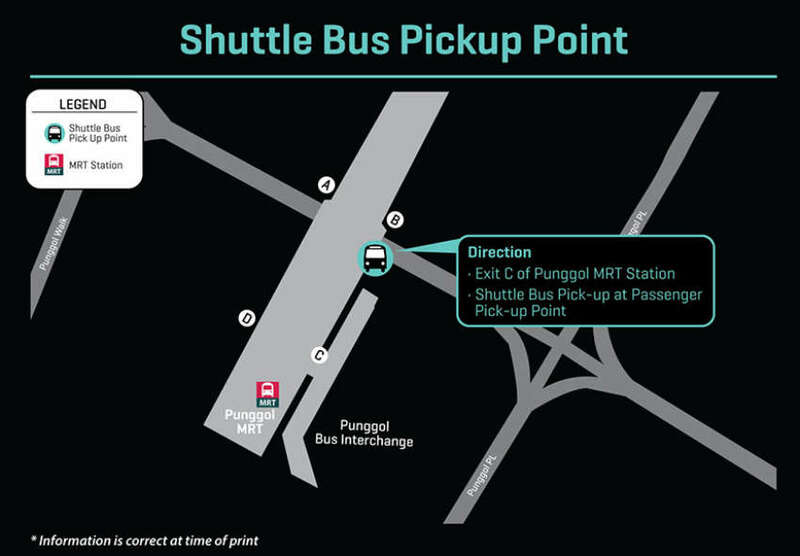 Optional shuttle services from Punggol MRT to the start point will be provided at a nominal cost of $5 for one way and $8 for round trip. No refund will be given for any cancellation. For participants who opted for the optional shuttle service, please be at the pick-up point of your choice 15 minutes before the stipulated time. Do remember to bring along your shuttle bus coupon and produce it upon boarding. Shuttle service from Punggol will start from 4:30pm to 6:15pm. 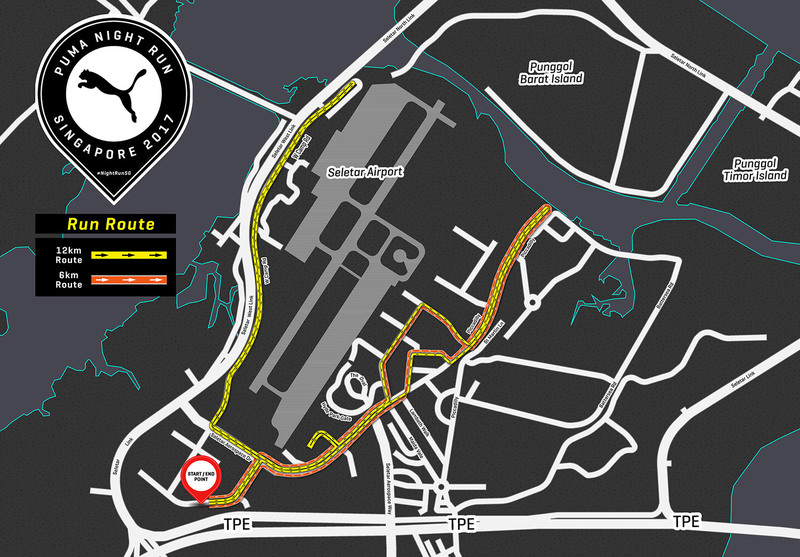 Shuttle service from race village will start from 9:30pm. Please refer to your shuttle bus coupon for the exact pick-up location. Visual will update at a later date. Purchase of the shuttle bus tickets has closed. You can park at the Oval, which is around Oval @ Seletar Aerospace Park. Participants who have yet to collect the Race Kit at the Race Entry Pack Collection, kindly proceed to the information booth on the race day to make the collection. Participants who have purchase but have yet to collect their shuttle bus tickets MUST produce a printed copy of the invoice/confirmation slip for our verification. Ticket for boarding will only be issued upon verification at the shuttle bus pick up point. Soft copy verification is not acceptable. *Refer to map for the location of the shuttle bus pick up point.